Sven Alkalaj, appointed in March by the United Nations Secretary-General as the Executive Secretary of the United Nations Economic Commission for Europe, (UNECE) is taking up his duties in Geneva today. “It is my great privilege and honour to head this organization. I look forward to working closely with UNECE’s 56 member States to further strengthen the economic cooperation and integration in the pan-European region in order to promote sustainable development and economic prosperity, in all our fields of expertise and for the benefit of all member States. I will be moving the agenda of UNECE in line with the UN Secretary-General’s vision for the next five years, which represents the core business of UNECE as well, in order to strengthen the role of the United Nations in today's world. Using my experience and all my abilities, I will focus on building consensus and partnerships among various actors and stakeholders at all levels in order to achieve goals of UNECE." 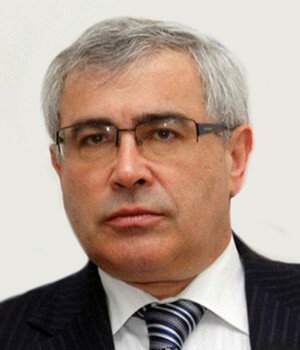 Sven Alkalaj served as Foreign Affairs Minister of Bosnia and Herzegovina from 2007 to 2012. Earlier in his career, he held the position of Ambassador to the United States of America, the Organisation of American States, the Kingdom of Belgium and the North Atlantic Treaty Organisation (NATO). Prior to this, Sven Alkalaj worked in the private sector as Managing Director of a multinational engineering company. He holds a Master’s Degree in International Relations (1987) and a mechanical engineering degree (1974), both from the University of Sarajevo. He is fluent in English and French.